Police investigating the murder of a 19-year-old man shot in the head in Penge, south-east London, have charged a man. 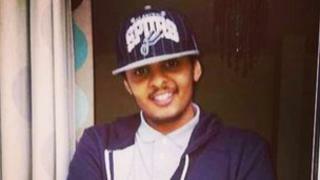 Khadar Hussein was shot on 8 May in Kenilworth Road. A post-mortem examination gave the gunshot wound as the cause of death. Trai Williamson, 19, of no fixed address, was arrested and charged with murder earlier and will appear at Bromley Magistrates' Court on Friday.